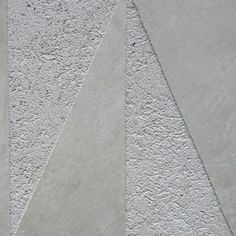 Plaster is a common construction material, and it’s been around for centuries trespassing various modifications until we’ve finally got a wide range of plaster types for different uses we have today. Since plaster is mostly used for internal walls nowadays, its variations are designed to enhance attaching between surface and plaster and enable better painting and decoration of the interior. 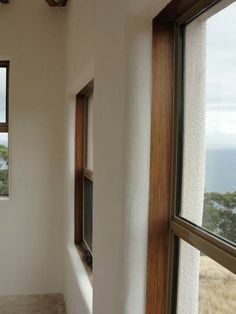 Some modern types of plaster used in the construction industry are designed to strengthen elements of wall and ceiling. There are several types of commonly used plasters that provide the high quality coating and finishing, and the most popular are Multi-Finish. This type of plaster is perfect for insufficiently coated walls. Hardwall plaster is another type of plaster used in construction industry designed to be placed as the first coat or backing plaster. The name derives from its specific trait to dry into the hard finish, which is a perfect coating for surfaces that need to withstand high mechanical pressure and resistance. Multifinishing plaster is rather flexible and designed to be applied over any underlying surface, including directly onto plasterboard. The average layers need to meet a certain thickness criterion before you smooth it and polish it. Browning plaster used to be frequently utilized in the construction industry until Hardwall and Bonding types of plaster replaced it. It’s not abandoned completely because it has some of its feature that is specific and useful. For example, it is perfect for applying it, as the first coat to the finishing plaster, onto various large and rough surfaces, such as bricks. When applied in total thickness about 10mm, browning plaster is strong bonding material for other construction materials. Bonding plaster resembles browning plaster in some properties, and it is, also, quite sticky and adaptable to pretty much any underlying uneven background, including non-absorbent surfaces. This refers to bricks particularly. It is, also, the perfect choice for poorly built and constructed walls if you apply it in several layers. Finally, metal lathing plaster is designed specifically for application onto metal lathing. Classic or Victorian plaster is a common form of plaster usually applied in residential houses and smaller commercial office buildings. It has some drawback that doesn’t make it quite a good choice for large industrial premises. Various factors influence the definite quality of plaster work and the quality of procedure and your skills are just one of them. There are several other common causes of defects in plaster work. Improper curing of plaster will dry it out and possibly cause cracking. Using low-quality sand or wrong proportion with too much sand will, also, cause plaster cracking. While applying plaster, you should stick to background tightly and always leave the new layer to dry before you apply the next one to prevent defects. These are the most frequent reasons, and there are ways to avoid these mistakes, but if the defects occur nevertheless, it doesn’t have to be definite damage. Neither you have to peel it all off and do the whole procedure again. Here is just some useful advice on how to minimize the defects in plaster work and make it look smooth and quality. Before you begin actual plastering, use water free from salts to water the surface you will plaster. This will enhance the attaching of plastering material and prevent the surface from sucking the water out of the plaster. Now, the concrete surface you are planning to plaster should be hacked properly to prevent peeling later on. There are two main methods for this. One refers to applying water and acid in several layers, waiting for a solution to make an effect and wash the acid off. Another method is spatter dash key. Either way, avoid excessive rubbing in an attempt to smoothen the surface. One of the essential factors effecting the final result is the quality of bricks used for masonry work. 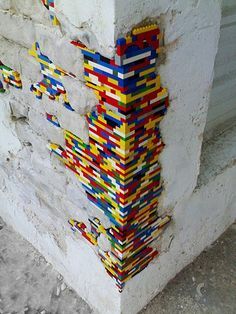 Use high-quality bricks and let the professionals conduct the majority of the process. If you’ve failed to avoid efflorescence during plastering, use hydrochloric acid and sulphuric acid mixed with clean water. Apply it on the surface with efflorescence and use brushes to rub the defect thoroughly. Do not apply water afterward to clean it off. Apply layers of paint only after you have removed all the efflorescence.